The Abola community in Uganda is one of the hardest to reach for our partners at Prince of Peace for Orphans and Widows (POPOW). During the rainy season, the roads are so bad that it is very hard to travel from Kaberamaido (where POPOW is headquartered) to Abola. In the community, there is a lack of water resources for those who are thirsty, and there is no health center for those who become ill. For those who live there, there are not enough classrooms for their children, most homes don’t have latrines, and the community’s infrastructure is poor. Recently, the community leader and local teacher came to POPOW to request a water solution for his school and community. 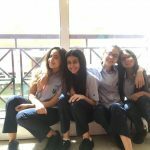 The children were walking long distances to find water at breaks and during lunch, and most students would decide to go home instead of returning to school. This led to high levels of dropouts, early marriages, and an increasing number of students who were losing an education. Even though the school is government-aided, those who stay in school are forced to learn in classrooms without doors and windows and are exposed dust, wind, and rain while trying to get an education. POPOW managed to make it to Abola to conduct an assessment and found that the school borehole had been broken for over one year. For over one year, the school children had been walking over a kilometer to find water to drink. For over one year, the community had gone without fresh water. 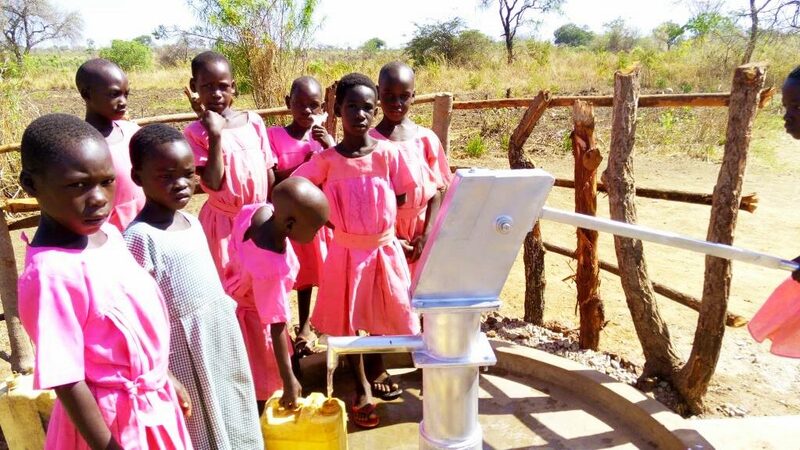 For over one year, the citizens of Abola had stared at the broken borehole, which needed a major repair they could not afford. At Surge for Water, we believe access to water is a human right, and our friends at SBB Research Group also believe this. 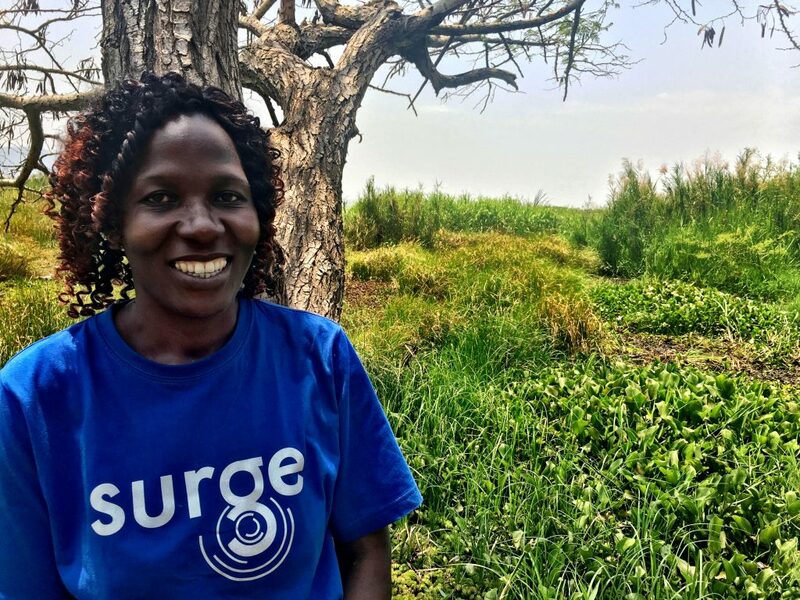 When they heard the story of Abola, they decided to partner with Surge to support the community and rehabilitate the borehole. 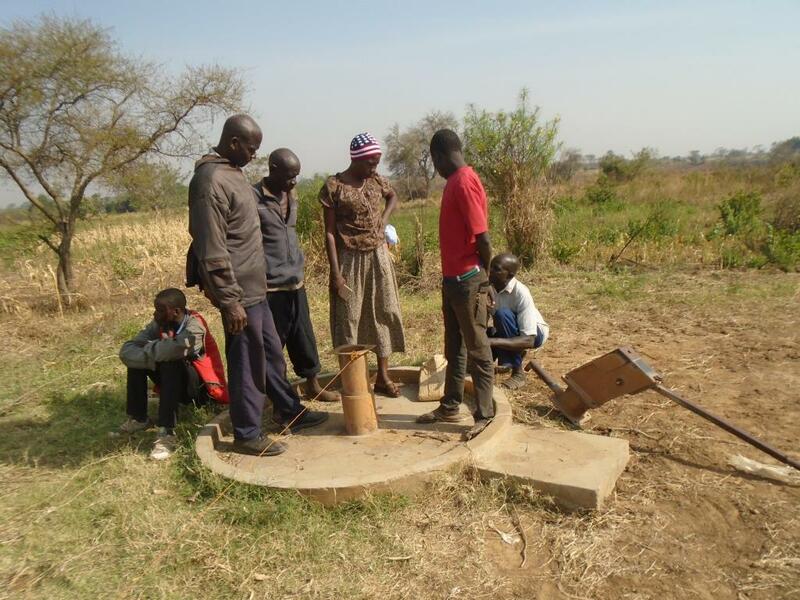 After a long rehabilitation process, the borehole was restored. 1,968 people including 676 children at Abola Primary School and 1,292 community members now have access to water. Within five minutes of the water source’s reopening, the borehole was full of women and children coming to fetch water from the area they had been staring at for over a year. Jacob Owing, 15, also told POPOW how much this borehole meant to him. Before the borehole was fixed, he would return home from school and find no water in the house to bathe with. Because of his hunger and fatigue he couldn’t find the energy to walk one kilometer, wait in line for 30 minutes, and bring the water back, so his solution was to bathe once every two days. Now, as he hurriedly explained, he will be able to bathe “twice Monday through Friday and bathe three times on the weekends!”. In addition to repairing the borehole, our partnership with SBB was will also distribute 180 water filters to Abola for community members to purchase. 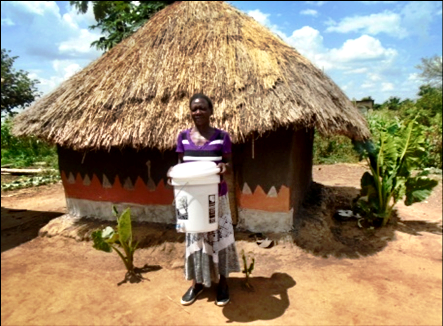 As community members are trained in business skills to improve their income, they will have the option of purchasing one of these water filters, just like Aryekot Caroline. Having a water filter saves her family UGX 50,000 (approximately 14 USD) every month on medical costs to fight typhoid, and she can now use that money for other things her family needs — like food! SBB also understands the need to educate and empower our communities through sanitation and hygiene (WASH) education. To this end, they have also made it possible for us to run several classes at Abola Primary school and the community on WASH, menstrual hygiene training including making reusable pads and soap. “At first, I, personally, found it hard to get to Abola, due to the long distance from Kaberamido, the lack of transport to get there, the poor roads which are not accessible during rainy season, and the lack of water in the community. There isn’t even a shop to buy water to drink if you get thirsty! But I was challenged and inspired by the extra hand that SBB was able to extend to this community from thousands of miles away. 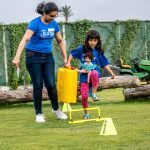 If you or your organization are interested in sponsoring a project with our partners around the world, please contact us at friends@surgeforwater.org. Together, we can transform communities and bring water to those hardest to reach. SBB Research Group is an early-stage investment management and research firm utilizing sophisticated and responsible strategies to manage assets totaling more than $200 million. While protecting principal and reducing portfolio volatility, we apply tested techniques to ensure our investments are maximizing their potential. Excellent work between Surge and SBB Research Group! 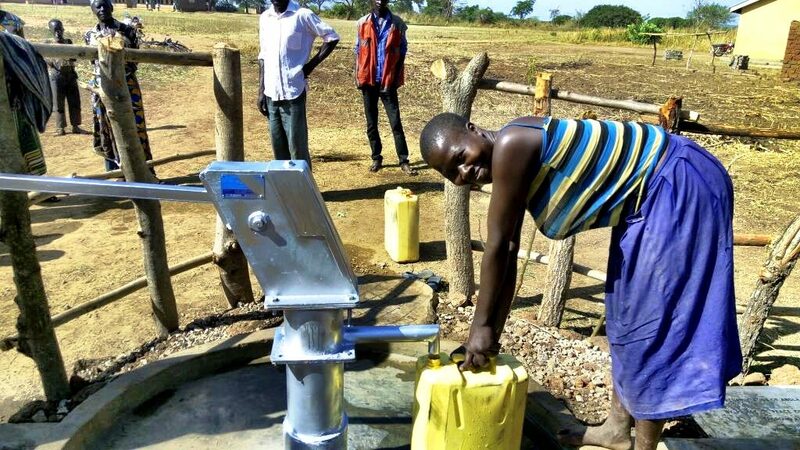 Wonderful to see companies stepping up to support clean water projects in Africa!